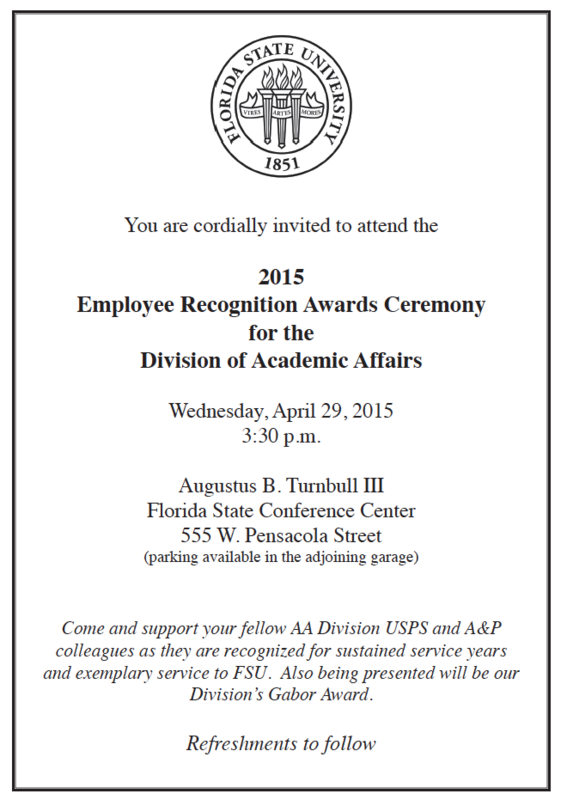 You are cordially invited to attend the 2015 Employee Recognition Ceremony for the Division of Academic Affairs. Come and support your fellow AA Division USPS and A&P Colleagues as they are recognized for sustained service years and exemplary service to FSU. Also being presented will be our Division’s Gabor Award.